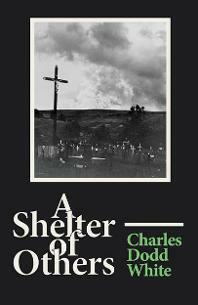 In Charles Dodd White’s new novel A Shelter of Others, the main characters are not so much protected by the people they love as they are bowed by their shadows. When the novel opens, Mason Laws has just been released from prison, but rather than go home to his wife Lavada and dementia-inflicted father Sam, he builds a makeshift cabin for himself in an abandoned timber camp, deep in the mountains of western North Carolina. From a cousin he learns that although Lavada did not come to visit him during the two years he was away, she has continued to care for his ailing father and still lives in the cabin they once shared as husband and wife. This doesn’t change Mason’s mind about visiting, however, and through White’s spare but weighty language, we come to understand the troubled yet electric bond Mason and Lavada share. For Lavada, keeping herself away from Mason has been an act of self preservation. His years of pill running and blatant cheating are only symptoms of the larger wildness that runs rampant in him and that sparks something untame in herself. Mason knows she is drawn to his risk, that “she had wanted it, craved the unpredictabilities that were as much a part of him as the pitch of his voice.” When she first sees him in town and knows he is out of prison, she feels the old desire for him ignite, but after she has some time to get used to the idea of his freedom and of his decision not to notify her about it, she tells herself that he had long ago killed the part of her that could love him. This opens her to the possibility of a relationship with strong, stable Dennis, her boss at a diner in town. After they make love for the first time, however, she realizes that he is too good and her feelings for him will always be overshadowed by the more powerful mix of love and hate she holds for Mason. For Mason, Lavada is “utter confusion, an ambush of feelings he could not ever defeat.” However, he does not blame himself for the hurt he has caused her over the years because he knows his wildness is part of what she was attracted to, that he was like a force of nature that “simply happened to her.” He feels something like jealousy when he sees Lavada with Dennis, but tells himself he can’t care for something so clearly lost. Neither Mason nor Lavada make a move to address one another until the law forces them to and from the narration of Deputy Cody Gibb—a sort of a negative double of Mason, disconnected and cruel, yet the face of the law— we learn that Mason has failed to check in at the courthouse since getting out of prison. Gibb threatens Lavada at gunpoint to make her husband turn up, and so finally she seeks him out. In the meantime, Mason has come to live in town and is working at a decrepit general store for an old man named Hammond. He often looks after Hammond’s dog Quest and has also taken in an elderly handicapped man named Irving, who does some light work for him, keeps him company, and gives him a general sense of purpose, much as Mason’s own father does for Lavada. These impulses to care bring a needed measure of humanity to the otherwise bleak and brutal world that White paints in this novel. So while Mason has always failed to connect with his non-biological father, a former professor who took the boy in from a dying mother raising him in the woods, he is able to use his meager resources to provide for Irving and Quest. In the same way, Lavada is able to give Sam the care she would’ve liked to give the grandmother who raised her and whose dementia forced her to sign her over to a nursing home. When Mason and Lavada finally meet, their rekindled passion lights the flame of their fragile world’s demise. Mason must spend a few nights in jail for violating probation and while there, sadistic Deputy Gibb runs Irving out of town. When Mason is released, he tracks Irving down and convinces Lavada to take the old man in for a while, not knowing the most immediate danger lies not with Gibb, but in the seemingly vacant father he can barely look at, much less speak to. Not long after Mason departs the threshold of his forsaken home, a literal force of nature assaults the county in the form of a violent storm. It leaves murder and deadly confusion in its wake, almost as if the universe is righting some balance offset by Mason’s return to this makeshift family he is not meant to make his own. While White’s language throughout the book is crisp, precise, and inventive, the disorder brought on by the storm in the last few chapters results in prose that is more abstract than that found in the rest of the novel. The characters’ motivations sometimes become hard to understand, such as when Deputy Gibb is injured in the woods during a manhunt and enters the raging, flooded river. An ostensible suicide attempt such as this seems strange for a man who reveled in his cruelty in preceding chapters, with little sign of self-loathing. In addition, Dennis runs into a group of adventure hikers during the same stormy manhunt and instead of telling them he is lost, or that there is a dangerous man in the woods with armed officers looking for him, he pretends to be separated from a different hiking team and confused by the weather. Overall, however, White’s prose is compact and powerful. When the storm is over, much of the physical world Mason and Lavada knew is still intact, but their emotional landscape has washed away. In the face of such destruction, though, White ends the book with Lavada showing the same need to care that threads throughout the rest of the book. After leaving a stack of homemade baked goods with the father of the still-missing Deputy Gibb, he tells her “I know it’s hard to find people in this world… It’s so hard to tell them what it means when you see something familiar in the other.” In this world where blood connection is not promised or given, and even the love of those we choose to make family is not safe, White convinces that something familiar may be the only shelter there is. Jennifer Barton's fiction and non-fiction has appeared in numerous publications, such as Hawk and Handsaw, Pine Mountain Sand & Gravel, Lost, and Work, and has won awards from New Southerner and the Knoxville Writers Guild. In addition, one of her essays was nominated for a 2013 Pushcart Prize. She completed her MFA at the New School in New York City in 2007, and currently tutors writing in Knoxville, Tenn.